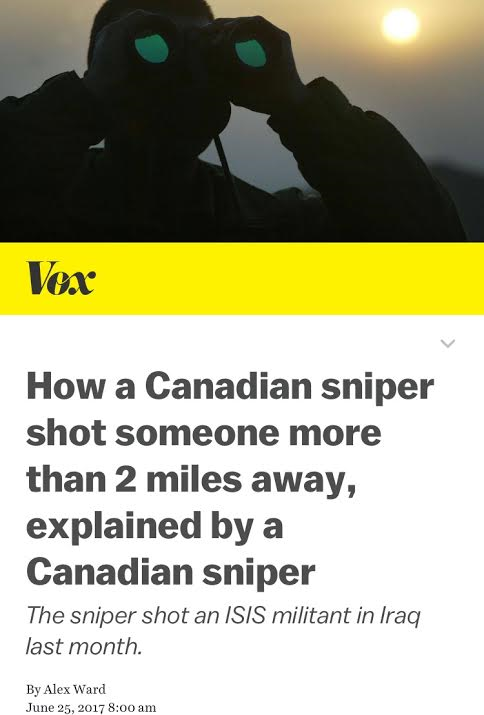 “What happened there is, first of all, something to be celebrated.” Between hanging out with the X-Men and making the cover of Delta’s in-flight magazine—plus ongoing sock politics—Justin Trudeau finally addressed the record-breaking Canadian Forces kill shot in Iraq. The prime minister emphasized that the mission remains a non-combat one, even as it promotes a more aggressive image. Skateboarders are probably screwing with the St. Lawrence dog sculptures. The launch of Berczy Park will be cursed with the cracked paw of one of its canine sculptures and the chipped hindquarters of another. Neither have been removed for repair, so all 27 dogs (and one cat) are there for today's opening. Boarders have been spotted around the fountain, ignoring signs telling them to skate away. Giant rubber duck has now cleared customs. The controversial visitor will be on display at the Redpath Waterfront Festival this weekend. And its $121,000 price tag includes the cost of the semi truck and crew transporting its 10-tonne pontoon-barge base—which ruins the illusion that it just kind of glides in. NXNE claims its Port Lands attendance tripled. While images of sparse crowds at the festival’s outdoor concert continue to circulate, NXNE's management hasn't been responding to press inquiries. 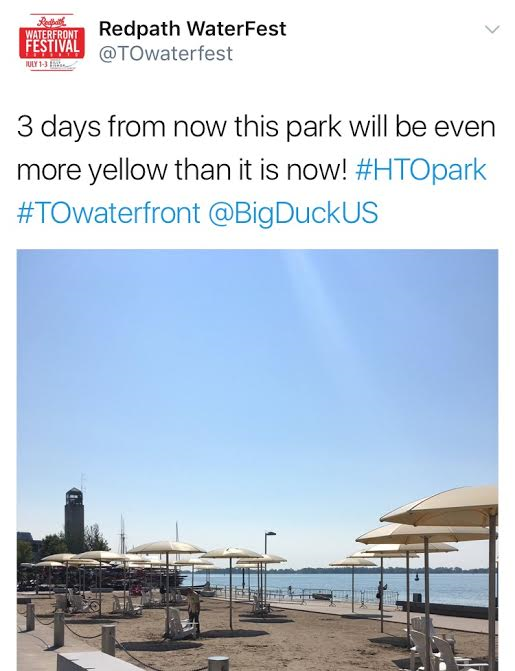 Even so, they're claming three times the attendance of the year before. But there are rumours of massive ticket giveaways for the event (which is, remember, government-funded). 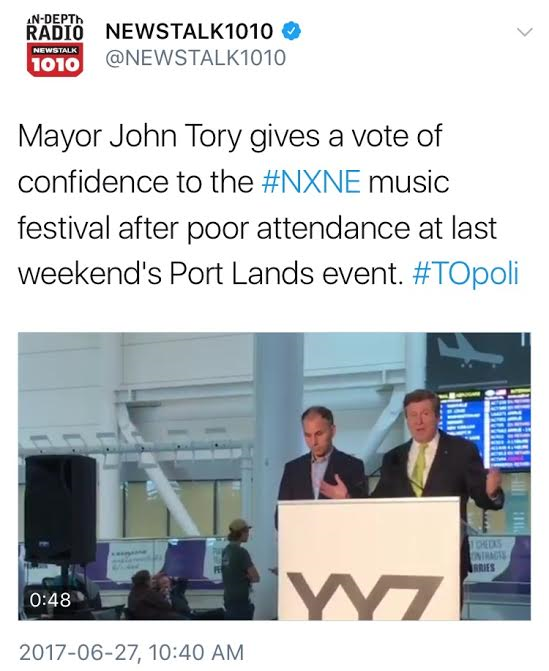 Mayor John Tory, whose Music City initiative was integrated with NXNE, defended the festival on the grounds that it moved to the Port Lands because it became too popular for Yonge-Dundas Square. 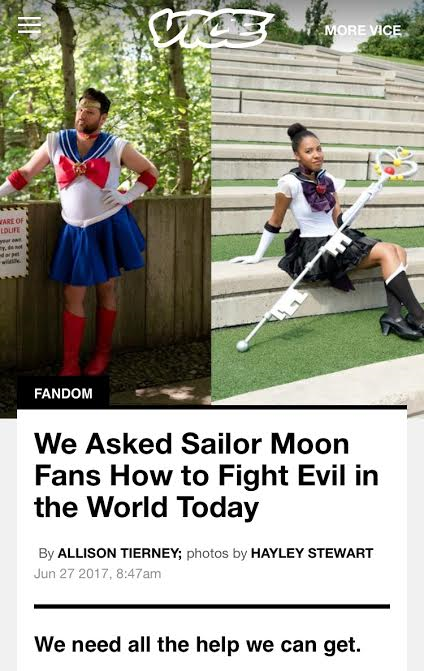 Sailor Moon fanatics converged to save us all. The third annual convention for the Japanese anime series, which was dubbed into English in Mississauga, featured six of its voice actors (including Sugar Lyn Beard) hanging out with the cosplayers. The bucolic grounds of the Ontario Science Centre were the perfect place to contemplate what all of it means. The most rewarding terrible judgment in Canadian media history. Kevin Crull, ousted as Bell Media president in April 2015 after he tried to intervene with how CTV News reported on a CRTC decision that threatened to be deleterious to company profits, rapidly returned to his telecom roots with a move to the Kansas City-based Sprint. And now that Sprint has an urge to merge, a proxy statement to shareholders revealed the size of Crull’s golden parachute, should he exit: $33.87 million. Canadian Tire jumps on the sesquicentennial wagon by exhuming its mascot, rarely seen since Canadian Tire money went digital.